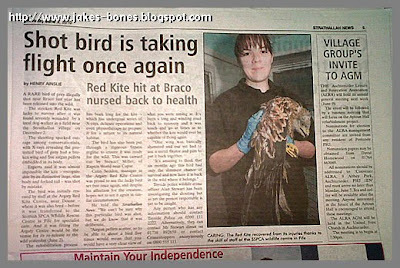 You are here: Jake's Bones > Good news - the red kite is alright ! The red kite was very lucky. 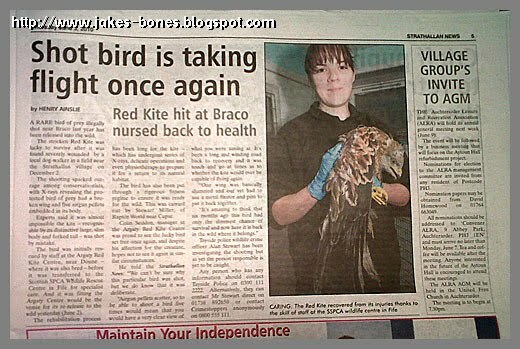 It had a broken wing and five gunshot pellets in its body. I am glad it's okay now. 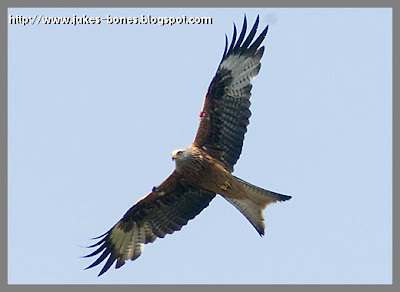 The picture above is of a different red kite that dad and I saw a few weeks ago.